Mix countryside and culture in Belgium. Touring the medieval farm town of Damme and using it as a homebase to enjoy the hip city of Bruges makes the perfect Belgian family holiday. 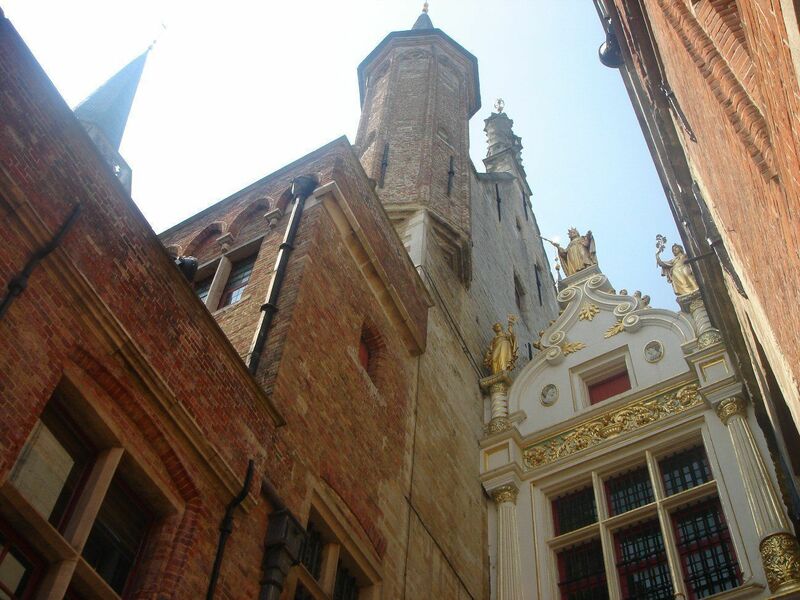 Flanders was on our family’s must-see list during a summer 2009 trip to Belgium and, during the planning stages, we decided that no urban vacation would be fun without contrasting time away in the countryside. We began our trip in Brussels, a French- and Flemish-speaking city that is three capitals: of Belgium, of the European Union, and of the little known political entity known as Flanders. After spending a few days in Brussels enjoying the sophisticated city life, we headed across the tiny country of Belgium (nearly 12,000 square-miles, or about the size of Maryland) to visit the rural heart of Flanders, or the “Land of the Flemings.” Founded in 862 as a feudal fief in the west of France, the Flemish Region today comprises part of northern Belgium, divided into West Flanders and East Flanders. The main language of indpendent Flanders is Flemish, a variant on the Dutch spoken in Holland, but French, German and English are widely spoken. Before diving into the cultural sights and bustle of medieval Bruges, we paused to enjoy the picturesque 16th century town of Damme, not far from the English Channel crossing point at Zeebrugge. Now known as the Damse Vaart, Napoleon’s canal is stocked by the Damme Tourist Office for the benefit of holiday fishers in summer, and maintained for ice skaters in winter. Families in Belgium, Holland and Germany know Damme for its rural beauty, excellent restaurants, the medieval architecture of its village and many surrounding ones, and the nearby opportunities for fishing, horseback riding, tennis, golf, and walking and bicycling. It is easily reached by train from Brussels Gare, and once there, the friendly Damme Tourist Office will rent everyone in the family a bicycle to go sightseeing with, if only for a day. On flat terrain, our family group ranging in age from 12 to 55 years covered 25 kms with only a few groans and complaints. The 14-kilomater-long Damse Vaart is part of a much larger canal network, including the 360-km-long international cycle route LF1 (the North Sea bike path from Den Helder in Holland to Boulogne in France), and is ideal family-friendly cycling terrain. The local bicycle paths are on top of the dikes or levees that separate each of Damme’s agricultural plots from each other, and keep them from being washed away by flooding. The wonderful car-free ride through Damme offers views of cows and canals, and an opportunity to cross one footbridge into Holland, and another to pull ourselves and the bikes on a raft across a walkway. There is also a scenic if dull boat tour, with some narration, that takes about a half-hour and runs along the main canal. When our tour group paused at a wonderful B&B for lunch, the complaints about biking so much subsided quickly. Although we only spent a day, Damme would be an excellent base from which to tour the state of Flanders by bike or car. There are the medieval villages of Oostkerke, Hoeke and Lapscheure as well as magnificent Bruges, where families can admire a beautifully restored medieval city recognized by UNESCO. Other summer attractions in the region include golf and tennis, 10-pin bowling, and go-karting in Lapscheure’s R-49 Centre. Visitors can’t miss the stylish Damme tourist office, VVV Damme (32 (0) 50 288 610), in its renovated medieval home at Jacob van Maerlantstraat 3, B-8340 Damme, as it is opposite the ornate Town Hall dating from 1496, which is now used for private parties. The VVV Damme staff was kind enough to let us in for a look, so visitors may ask to tour Town Hall. The Der Stamper B&B, 12 Zuiddijk, Damme 8340, Belgium, merits special attention because of its serene setting in the Flanders countryside. In this region, the Flemish language predominates and the favorite beer is Duval. The proprietor, Marc Nyssen, has converted a stucco and exposed-wood-beam farmhouse into an inn with three bedrooms upstairs, all simple, rustic and charming accommodations. Additionally, there is a renovated small out building that holds two other apartments. Breakfast is served indoors off the kitchen or outdoors on a long wooden farmer’s table that easily sat our group of 14 for a lunch of chicken stew. The Damme tourist office also rents nine holiday homes as part of its Gentleman-Farmer-In-Damme (Herenboer) program. Converted farmhouses with rustic sleeping quarters and full kitchens make a very convenient base for families, and rates start as low as €385 per week. Reservations can be made through the VVV Damme or Toerisme Damme office, Huyse de Grote Sterre, which provides linens in addition to bike rentals. This is our next trip, without doubt. Whether it was the success of 2008’s off-beat comedy “In Bruges” starring Colin Farrell, or just recognition of the city’s uniquely preserved medieval beauty, Bruges (written Brugge in Flemish, the local language) has become one of Europe’s most crowded, must-see destinations. Unfortunately, after crossing the drawbridge onto this precious island, most travelers (like us) will spend the day shouldering their way through pedestrian hordes and waiting for a turn to admire church facades up close. 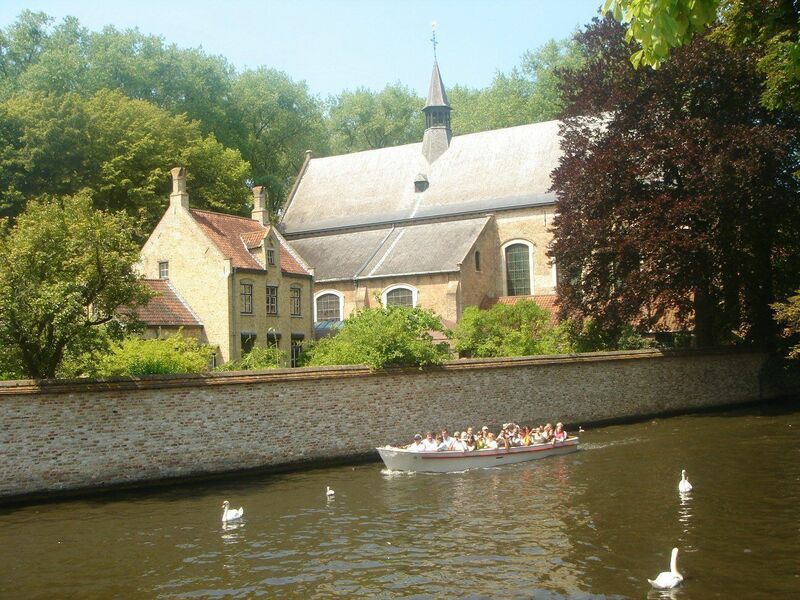 This is especially true between mid-June and mid-September when the Benelux schools have summer holidays, making mid-summer the best time to book your stay in nearby Damme and enjoy its tranquility, as well as Bruges’ beauty — the best of both worlds. The island of Bruges had its heyday as a trading port in the Middle Ages, and is laid out around seven rings of canals emanating from seven ports. A true labyrinth of cobblestone paths and pastel stucco buildings with step gable roofs, it is best appreciated with a guide. 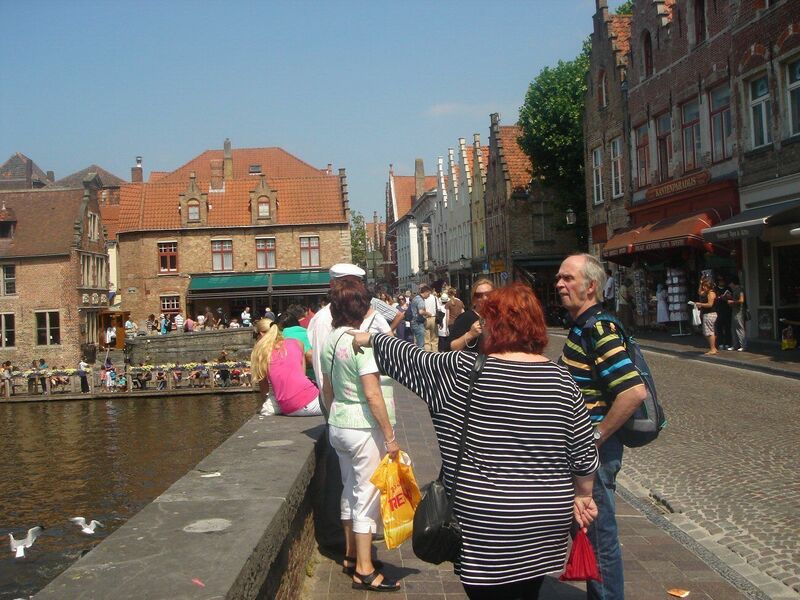 The In&Uit – Toerisme Brugge Tourist Office (32 (0) 50 44 46 46; PO Box 744, B-8000 Brugge, Belgium) can suggest a walking tour or a tour in a caleche (horse-drawn carriage) that will go a long way toward engaging children with the town’s history. If you want their advice in person, stroll over to Concertgebouw ‘t Zand to their office. Our walking tour led us past the Church of Our Dear Lady, the town’s main place of worship, and the Basilica of the Holy Blood, which is said to contain a relic of Christ’s blood that is carried through the lanes at an annual holy day ceremony. A shaded park led to the Beguinage convent, still a home for widowers, and past the Lace Museum, where visitors can watch local women weaving the intricately detailed lace that made Bruges famous in fashion circles. What is most appealing about Bruges is that the perfectly preserved buildings are, unlike Venice, actively in use, either as residences, cafes, business offices, tourist shops, museums or small B&Bs. 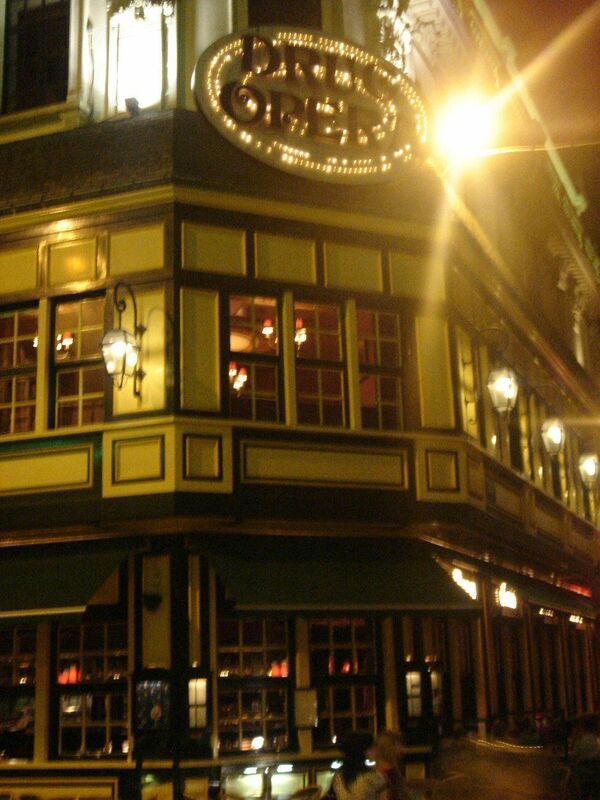 For example, the colorful De Halve Maan is an old brouwerij or pub, where locals have enjoyed beer since 1856. Today, visitors can tour the brewery before 6pm daily. Be sure to pause outside the glamorous Hotel De Tuilerieen (32 (0) 50 34 36 91), located at Dijver 7, B-8000 Bruges, Belgium, which has become a local attraction since Colin Farrell, Ralph Fiennes and the cast from “In Bruges” stayed there during the filming. After our walk, we were ready to relax on a half-hour canal boat ride that lazily circled the city’s reien or small canals, while a recorded narration droned on. Having seen all of the above, let serendipity take over. All ages are thrilled at the chance to sample the various pralines sold at the dozens of chocolate shops; pralines are chocolates with a filling of any kind and they are Belgium’s finest contribution to this confection. Pause for a fresh baked Belgian Waffle from one of the many stands, and learn how Belgians eat their waffles only with powdered sugar – no chocolate sauce, no whipped cream – though tourists can buy any topping for theirs. Bars are more common than teahouses for a break, and restaurants on the quieter side lanes are less expensive than those on the main squares. Ogle the lacewear. We were told that the small lace items (souvenir pendants with animal images, dress collars and decorative cuffs) are all made in China today, and that the finest lacework costs hundreds of dollars. There’s one really great night time activity, and that’s Celebrations Brugge Anno 1468 (32 (0) 50 34 75 72). This 2.5-hour evening dinner theatre combines Medieval Times entertainment (minus horses) with a surprisingly tasty repast of bread (served in 12″ quarter rounds), soup, assorted vegetables that the kids all ate, grilled chicken drumsticks and tender beef ribs. Pitchers of beer and bottles of wine flowed freely. The well staged show took place in the aisle of a stunning medieval church at Vlamingstraat 86, where long tables replaced pews and VIPs sat in what was once an altar. The show’s plot is driven by a clever Jester who “entertains” Charles the Bold and Margaret of York on their wedding day, with a trained hawk, a duel between knights, some fire-eaters, witches, and lots of music and dance. Diners participated in many photo opportunities; a Happy Birthday presentation by the King and Queen to lucky guests and a chance to pose with the Knight who looked like Matt Damon were the most popular. Travelers who want to spend the night to see more of Bruges have a choice of many small B&BS and furnished apartment rentals. We liked the Aramis Holiday Flats on the outer ring road; units sleeping 1-6 people have been carved out of a ca. 1700 farmhouse and there’s free parking, and a pay Laundromat on the same block. For families, the Hotel Novotel Brugge Centrum (32 (0) 50/337 533), located at Katelijnestraat 65B, 8000 Brugge Belgium, is one of the best choices. Although it’s very close to the town’s historic Beguinage (convent) and Belfry, the Novotel is newly built, so its 136 rooms have modern comforts and enough space to sleep a family of five. Novotel’s year-round promotion, Family Spirit, allows up to two kids under 16-years to share adults’ room at no charge, have a free breakfast, and enjoy a 5pm Sunday checkout. Toddler parents will appreciate that the hotel has cribs, baby bathtubs and babysitters on request. There is a large, secure lawn with a swimming pool and sun chairs, a small playground, and an outdoor cafÃ© for all ages. 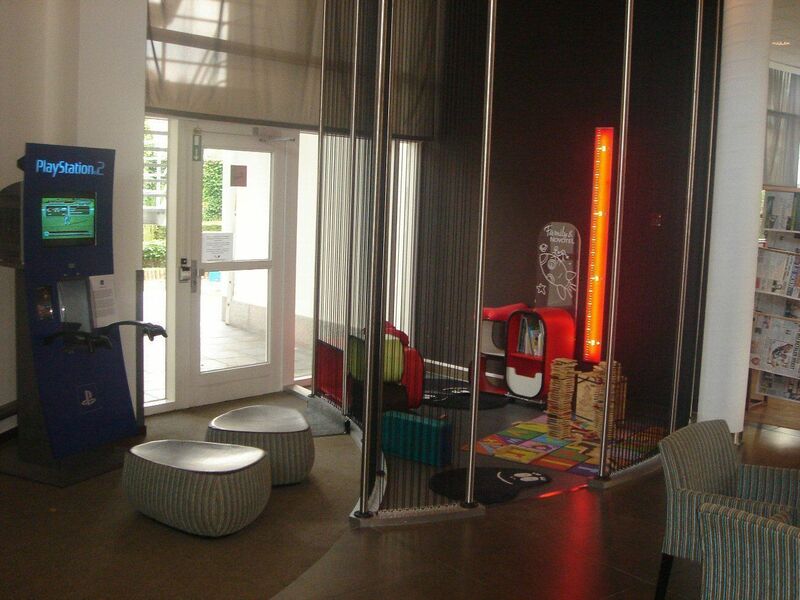 There’s also a play area off the lobby for younger kids, plus a free computer station for the must-stay-connected family members. On a more modest budget, the Hotel Adornes Brugge at Sint-Annarei 26, Brugge, West Flanders, Belgium is popular with families for its three and four-bedded family rooms (an extra cot can be added). An old canal-front building, it has authentic, exposed wood beams and a fireplace in the breakfast room, along with a very friendly and knowledgeable staff. Perks include great breakfasts and free loaner bikes — search the web for sites offering bookings here. Front rooms have canal views and the hotel has its own parking lot. I cycled parts of the route and the provided GPS tracks followed exactly the singposted route.